We have teamed up with super-experienced adventure tourism company Adventure South to create NZ’s first ever commercial guided trail running vacation – what promises to be the holiday of a lifetime for the lucky people who get in quick enough to secure a spot. Adventure South’s motto is taken directly from a client review they received – “small groups, great guides, superb holidays” – a perfect complement to Running Wild’s mission to inspire people to “run, explore, share” our world-class trails. Their logistics expertise, fine tuned over 20 years in the business, combined with our passion for running great single-track, means we can provide an unparalleled and unique holiday for runners of any nationality. 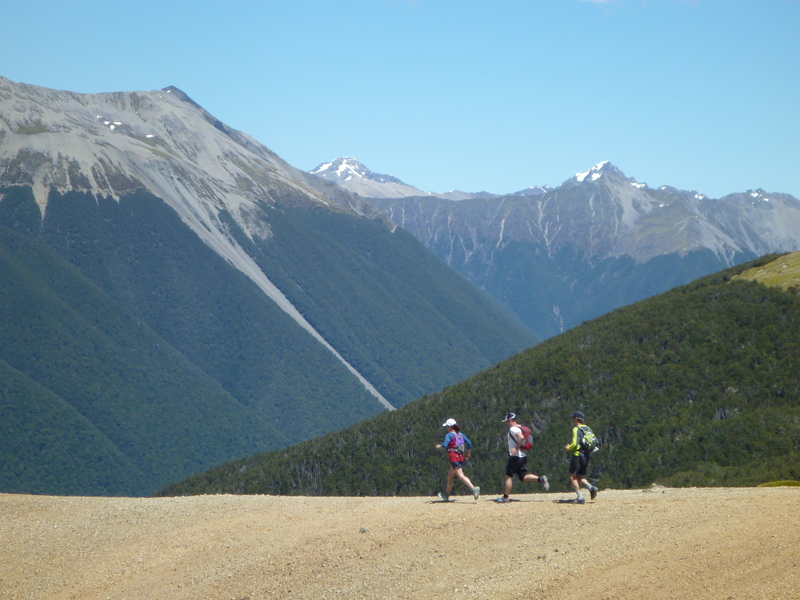 The ‘top’ of the South Island offers beautiful and varied landscapes – including 3 national parks – that we will explore as a small group over the course of a relaxed and fun-packed week of trail running. Each of the 6 runs that we go on offers something unique. Every day will be an awesome experience in its own right. Linked together, with no logistical hassles (we’ll take care of all those for you), the 8-day package promises to be the perfect trail running smorgasbord. Group Size: We will travel as a small group of between 6 and 14 people. You can book on as an individual or get together with a partner or a group of friends to join in the fun. 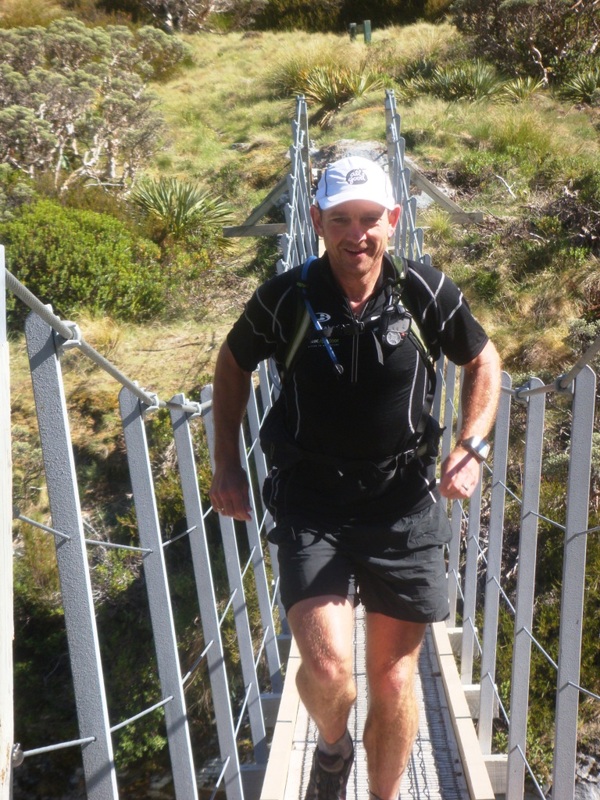 Guides: Mal Law, founder of Running Wild and one of NZ’s most experienced trail runners, will lead the trip. If we have 8 or more clients then Mal will be joined by a second highly experienced guide. We also have our own driver/cook/general helper. Read more about Mal. Terrain: For the most part the trails are good quality Department of Conservation hiking tracks. But don’t expect boringly smooth stuff. We have deliberately chosen trails that offer something of a challenge, with occasional technical sections and some stiff climbs/descents. Bitumen lovers need not apply! Ideal for: Intermediate level or more experienced trail runners seeking a relaxed week of beautiful running in good company. Also ideal for anyone training for a long race and wanting time on feet. 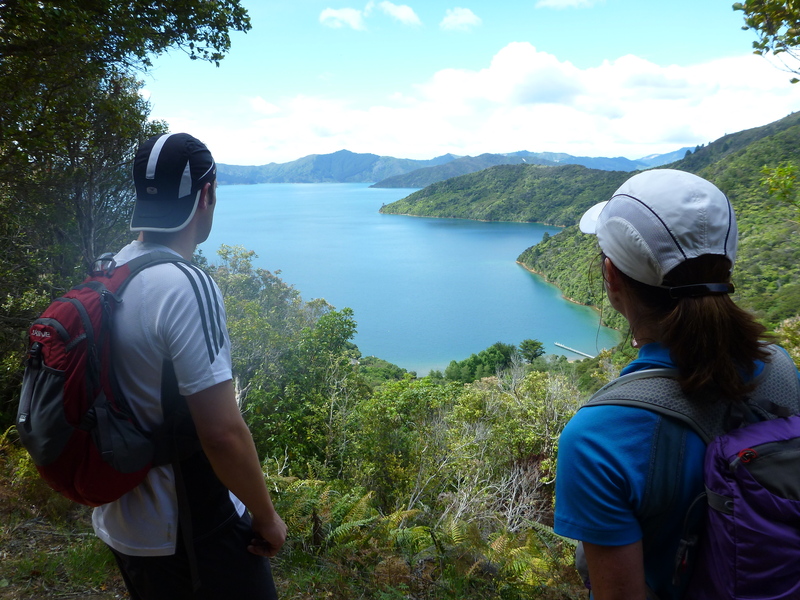 Day 2: A stunning water taxi ride followed by 26kms* of top flight trail running along the beautiful northern end of the Queen Charlotte Track. Day 3: A 24km run along one of the regions lesser known gems, the Nydia Track. It’s the hassle of getting back from the finish that puts most people off – but that’s no worry for us as our coach will await our finish! 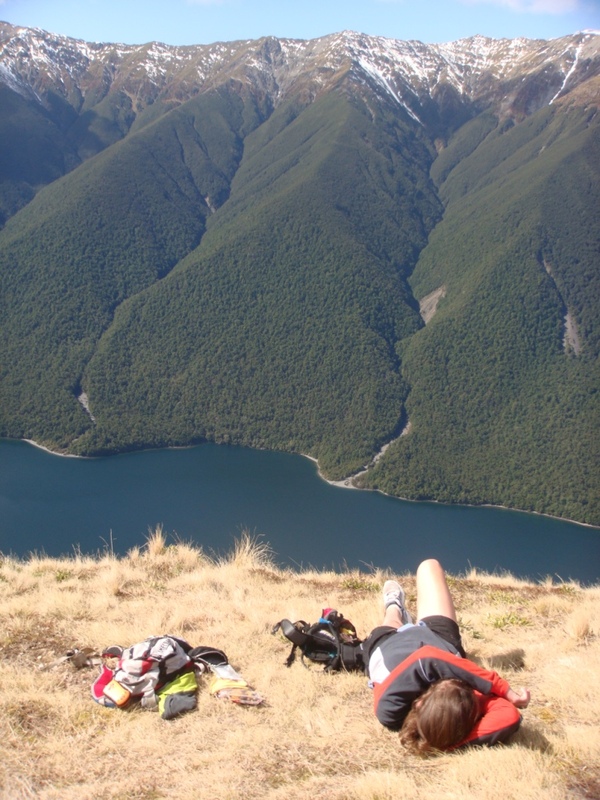 Days 4 and 5: Nelson Lakes National Park* – one of our very favourite places on the planet to go trail running. Cruise through native beech forest, around the magical Lake Rotoiti, up and down some meaty climbs, along open ridge tops and around high alpine tarns. Heaven on earth! 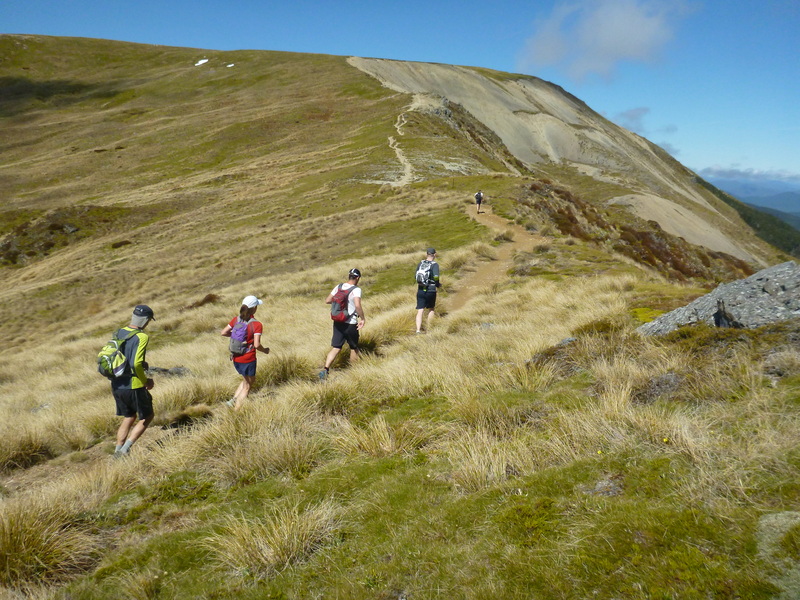 Day 6: A 25km* traverse of the stunning Kahurangi National Park, featuring a breathtaking array of limestone landscapes and finishing with one of the best downhill runs ever! 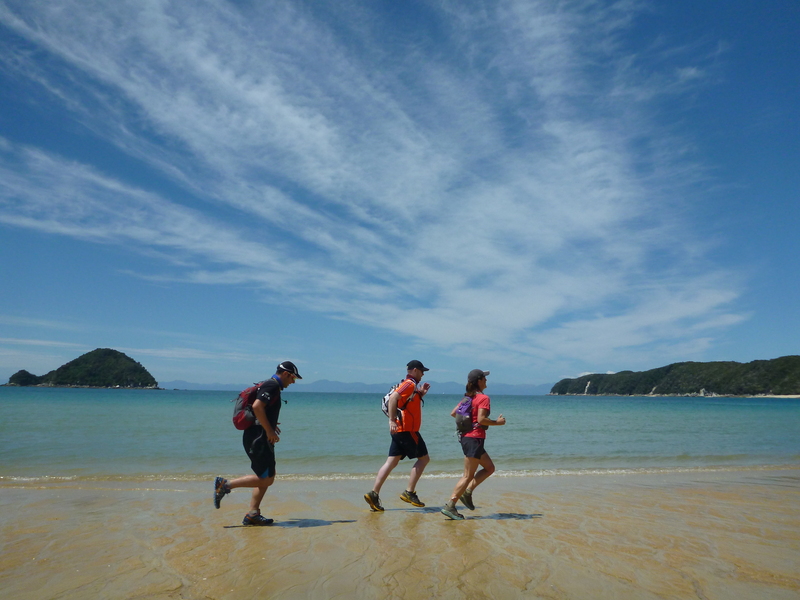 Day 7: 35km* along the world-famous Abel Tasman Coastal Track – the ultimate bush & beach running experience. Day 8: Return to Christchurch with drop-offs en route at Nelson & Blenheim airports for those that need them. * Shorter options possible (subject to group numbers). Note: the weather at this time of year is generally settled but the itinerary may change if it turns against us. The tour starts in Picton. To get there you can drive, catch the ferry from Wellington, or fly to Nelson or Blenheim and take a bus. Alternatively you can fly to Christchurch and hitch a lift to Picton aboard our private coach. The tour finishes in Motueka. From there we will head back to Christchurch dropping people en route at Nelson, Blenheim or Picton as required. If you need to get back to Christchurch we can take you all the way for no extra charge!